We visited the Rice Museum with a free pass from our library today. It wasn’t what we expected at all. In the past I have visited the geology exhibits of museums in Chicago, Los Angeles, San Francisco, the Grand Canyon and many other rather impressive collections. 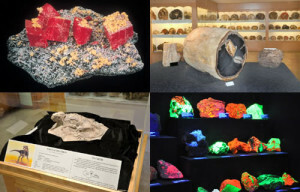 This is by far the best Geology Museum Collection I have ever seen. So if you are going to be in Portland, OR it is worth stopping by.